The flora of the Adriatic sea is vivid and diverse. 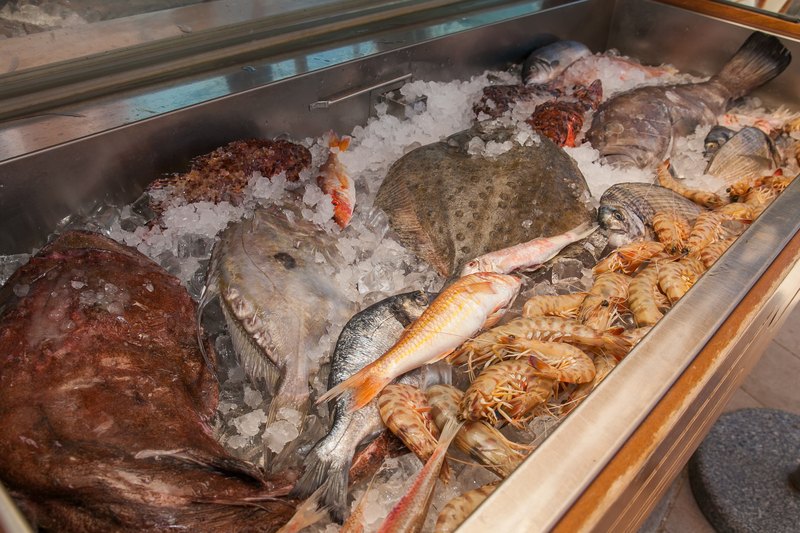 For those of you who are fond of sea products we are glad to offer a big choice of fish specialities. Usually the fish is divided into two types – white and blue, bigger and smaller in size. The European anchovies are becoming more and more popular salted and served with salads. 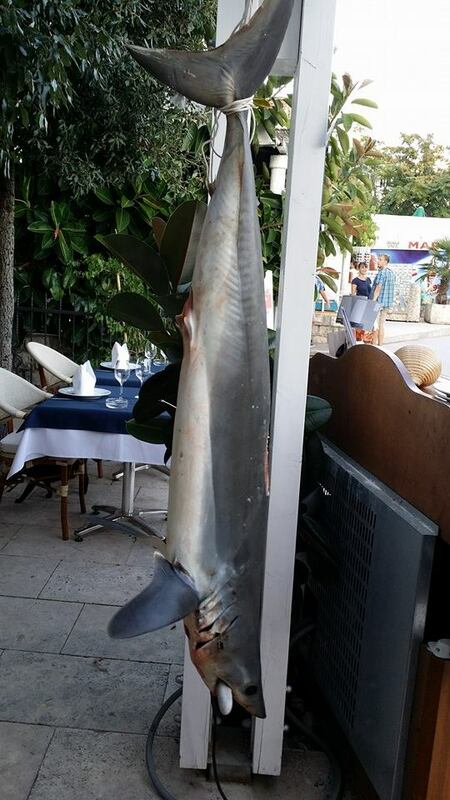 And fish such as tuna and saberfish attract the guests with their appearence ( they can reach up to 50 kg) and with the high quality of meat. Our cooks make delicious cutlets and file from it. 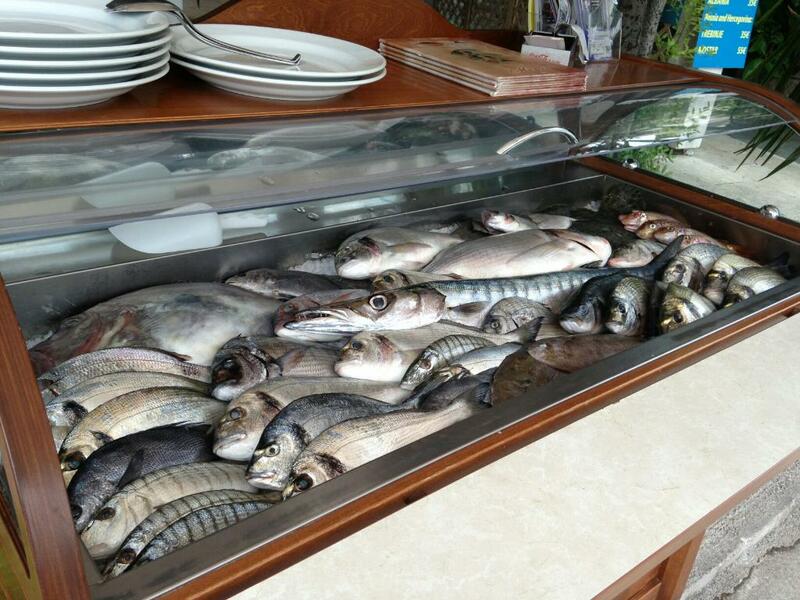 Depending on what was caught in the fishing nets in the ice glass case you can see – gilthead, seabass, gofa, sabrefish, tuna, saint pierre fish, mackerel, sarda fish, red mullet, leaffish, chub mackerel and etc.